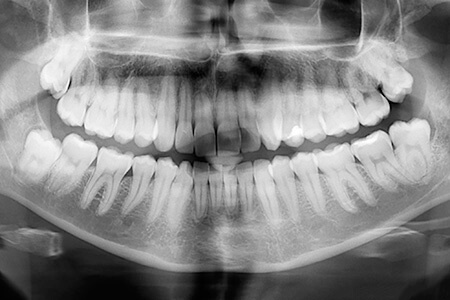 A Panorex image is an X-ray that depicts a panoramic view of your mouth, from one side to the other. This image checks for diseases that usually go unnoticed by patients but can be serious like cysts, tumors, or other pathology. A Panorex can also check for wisdom teeth and missing or extra teeth in a child that will affect their dental development.